My students use morning binders during our morning meeting and throughout our academic portion of the morning. I love using binders because I can personalize and individualize each binder according to my students needs. Here's what I put inside each binder. Everything is separated by tabs (except for the schedule which is the first page). Schedule for the morning. Our schedules change based on the day of the week (due to therapies and shortened schedules on Wednesdays), I print off a schedule for each day of the week (for each student) and store them all in one page protector. All we have to do each day is move the correct schedule to the top. Students cross off each item as they complete it, and we erase and start new every day. (I only include the morning in our schedule because my students are with me for the first three hours of the day, and then they go to other classes in our program, and eventually come back for resource). Some of my students need a more tangible schedule, and for them, I use individual pieces for a schedule or might just use a first/then board, especially if they get overwhelmed with too much information at one time. Sign in sheet. Before my students start their job for the morning, I have them sign in. I like doing this because they get in name practice, it's an easy activity to start off the day, and it signals to them that they are ready to start their day. You signed in, you are ready to work. Some of my students use name stamps to sign in (ALL of your students can and should be able to and be practicing to mark their name some way) but for the most part, if students are able to make a mark on their own, I like them to do that. We also work on initials for students who can't write their whole name. Also, students check off if they are here or write in the time when they sign in. I printed my sign in sheets from the Unique Learning System. Personal info practice. About half of my students finish their morning job before we are ready to begin our morning meeting, so they work on their personal information during this time. They can also work on personal information if they need something to do during the day. Say plans change and I need an activity real quick, I can tell them to work on their personal info. I keep multiple pages in there, so they are always ready to go! I physically fade tracing prompts over time in order to help students learn their info and not just copy it. Calendar page. During our morning meeting, I have students go to their calendars that they created and we cross off the days that have happened already. This is a great way for them to see time passing and to anticipate upcoming events. Read more about my color coded calendars here. Daily question journals. In our morning meeting, we go over a question of the day. Some students need a lot of time to answer this question (for example, if they are preparing it on their device), while other students are very quick and need something to do while their classmates are getting ready! I have them write a sentence or draw a picture based on the daily question during this time, and we store all of those pages under this tab. IEP data sheets. I keep some of our data sheets in the location where the goal is worked on (for example, in their work binder or by our task boxes), but some goals don't have a specific location so I store those in their binders! Since they kept their binders with them throughout the morning (mostly because of their schedules), my paraprofessionals and I have easy access to their goals whenever I need to track something. Extras. Our binders are also a great place to store social stories, token boards, and visual reminders that are unique for each student. Implementing morning binders was a game changer for me. I love being able to store everything that each student needs in one place. It has made prep easier and I'm not scrambling for worksheets as we go through our typical activities. It also gives students a chance to practice responsibility as they have to keep track of their binder in the classroom. In addition to our morning binders I also use station binders for math and language arts. Check those out HERE! What else would you add to your morning binders? I really wish I could pick your brain about everything. I am a first year adaptive teacher for grades 3-5. And I always have so many questions about everything. Anytime! 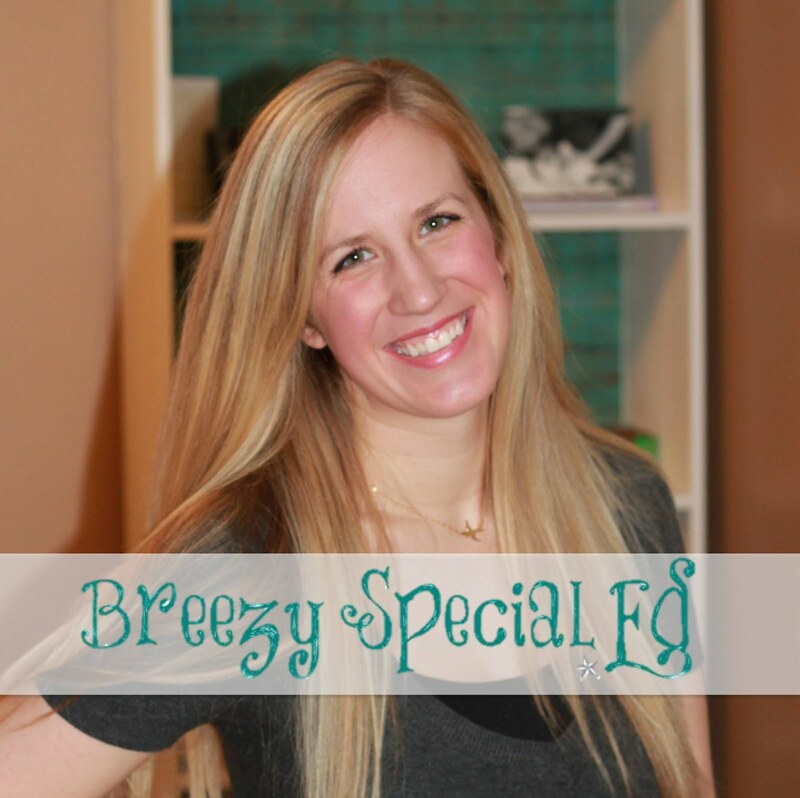 Email me at breezyspecialed@gmail.com and I'll try to help out however I can! I am a fist year adaptive teacher and all is going well on my end, however my one on one is having issues with her student. He is nonverbal and she has never worked with a student like this. He is the most critical case we have ever seen and she needs all the insight she can get. She is loosing steam, we use an ABA system, and his parents are not involved at all, he is such a bright little man, in Kindergarten, and I know he understands us, it is all just about if he is willing to work and what will work for him, even we have little to no guidance from our county. I have met the AU specialist once, and have not seen her again. We need a major intervention and a major change in order for this child and the rest of the children to be successful, not to mention special seating, and equipment has mysteriously disappeared and now that we are using flex seating Gen Ed Classrooms, all of a sudden a lot of that seating is appearing in the Gen Ed classrooms. HELP! OMG!!! I love this idea! This will help my students in my classroom soooo much! Thankyou for sharing your wonderful ideas!!! !